Two days after Thanksgiving, local artist David Garibaldi, embarks on his Art Life Tour. This Saturday, Garibaldi and his team will captivate the public through light, sight, and sound. During his 70-minute set, he’ll paint eight portraits at a dizzying speed. His 12-person Sacramento-based crew features two dancers, a DJ, and live drummer. Check out the video below to get a feel for the show. Tickets are on sale now! More than 100 artists are preparing to welcome visitors to the 13th annual Crocker Holiday Artisan Market, a three-day art bazaar that will take place this Thanksgiving weekend at Sacramento's Scottish Rite Center. Now a community holiday tradition, the festive event highlights dozens of local and regional artists, and it's perfect for visitors who come to shop for one-of-a-kind gifts. 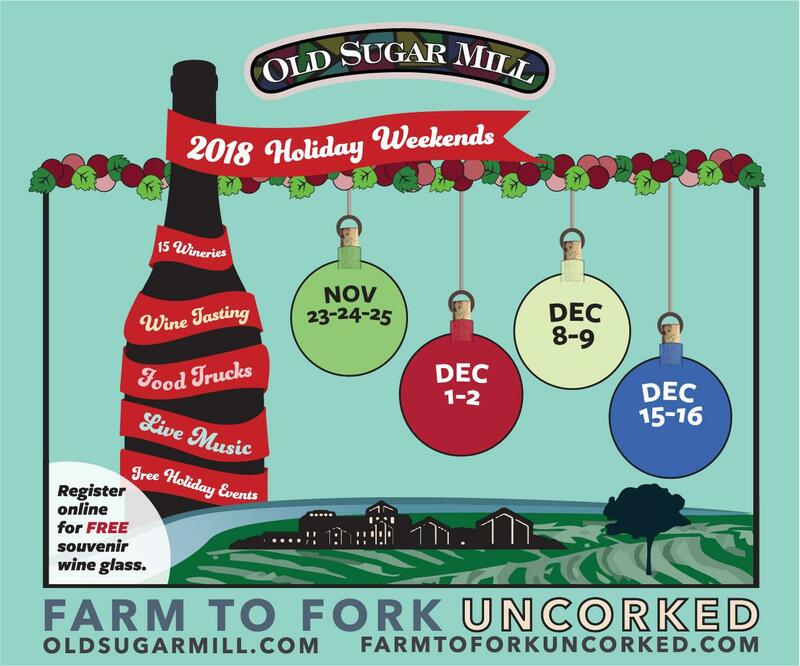 Join the Old Sugar Mill for a month-long celebration of “Holiday Weekends at the Wineries!” It's a month long celebration of excitement leading up to the New Years. Join them every Saturday and Sunday from Thanksgiving-Christmas for live music, food trucks, chef demo’s, wine tasting and more. Join RedRover and SacYard Community Tap House for a special Giving Tuesday event to benefit animals! Enjoy good beer for a good cause; $1 from every pint sold goes to RedRover’s lifesaving programs. There will also be vegan tacos from Bambi Vegan Tacos, raffle prizes, a live DJ and more.